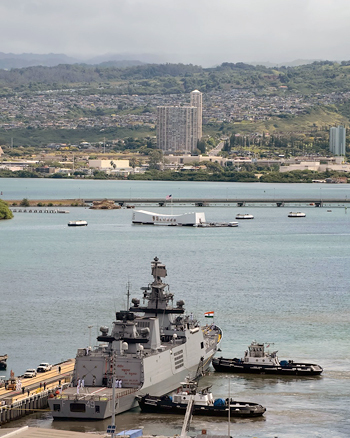 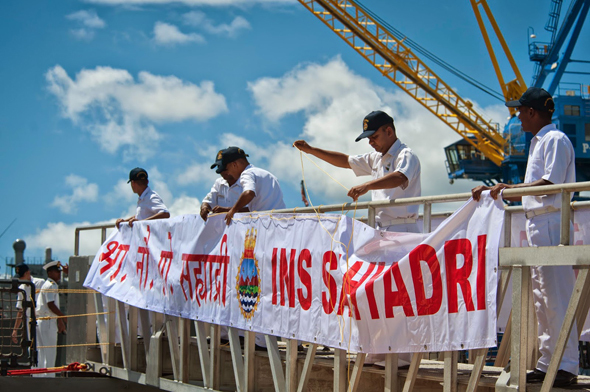 Indian stealth frigate INS Sahyadri, the first Indian Navy warship to participate in the Rim Of The Pacific (RIMPAC) series of international maritime exercises, has drawn considerable interest at Joint Base Pearl Harbor-Hickam. 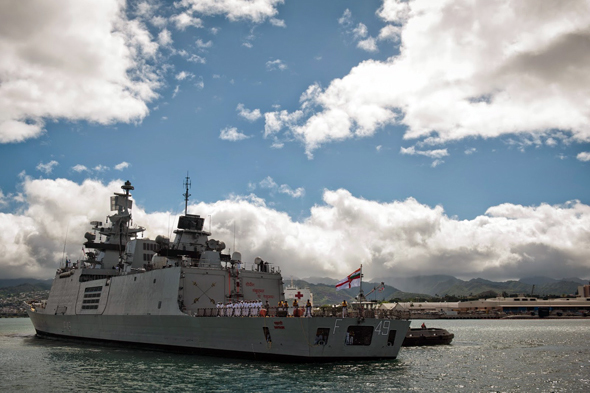 She is part of a multinational flotilla of 49 surface ships, six submarines and more than 200 aircraft involved in the exercise, along with about 25,000 personnel from 22 nations and six observer nations, participating in the 24th RIMPAC exercise, the world's largest international maritime exercise, till August 1, in the East Pacific. 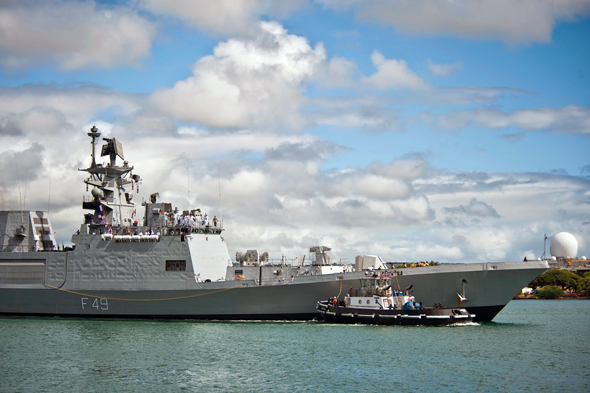 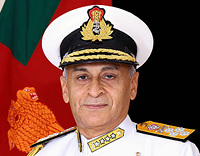 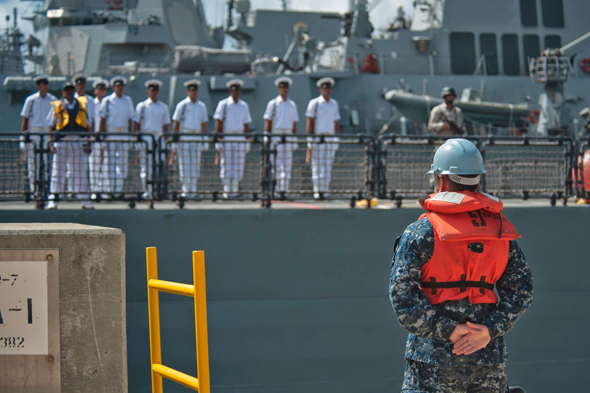 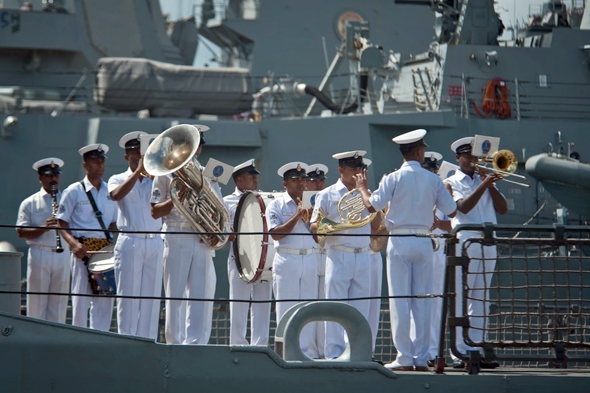 Sahyadri and the other surface combatants will, according to the US Navy, conduct training ashore and out at sea in a coalition and joint effort. 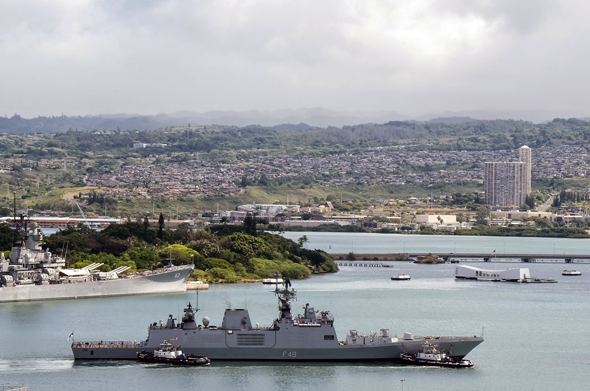 "RIMPAC is a unique training opportunity that helps participants foster and sustain the cooperative relationships that are critical to ensuring the safety of sea lanes and security on the world’s oceans," says the US Navy. 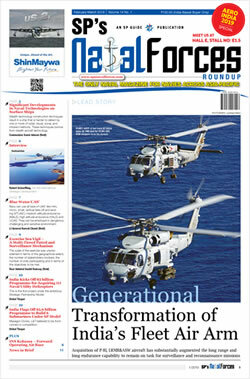 Harris said that building mutual trust and opening lines of communication are critical for success but challenging to build. 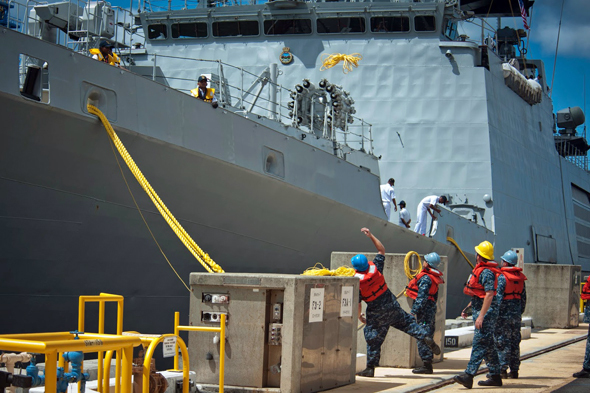 RIMPAC offers participants the chance to work alongside other nations in preparation for real world events, and is designed to strengthen rebalance efforts of the Asia-Pacific region.